Managers who are responsible for processes and activities in an ISO 9001 certified quality management system need more than a brief overview of ISO 9001:2015. They need to go through the new revision a section at a time and understand how to use the standard to bring value to the organization. They need guidance on evaluating gaps between the current and desired future state of the quality management system. For organizations who are ready to move forward with transition training and project planning, DESARA's on-site workshops will prepare your team for success. Your workshop will be custom-designed to meet the your specific learning objectives and business needs. We ensure the most effective use of everyone's time by focusing on transferring essential knowledge and building skills so that you can accomplish your goals with as little or as much outside support as you decide is necessary. Workshops allow you to make immediate progress toward your transition goals and to achieve buy-in at the outset from those who will be affected. Transitioning to ISO 9001:2015 requires a systematic plan to move from your current state to a desired future state. A formal Gap Assessment should be one of the initial steps in that plan, right after studying the standard and understanding the meaning of the new requirements. Once you have identified what to change in your management system, the heavy lifting starts. DESARA has helped dozens of organizations implement management systems over the years, and we can help you with targeted coaching, facilitation, problem solving, and everything it takes to get things done. With the transition to ISO 9001:2015, many organizations are evaluating the costs and benefits of maintaining their internal audit program and finding that now is a good time to consider outsourcing audit planning, execution, and reporting to people who already regularly use ISO 9001:2015. 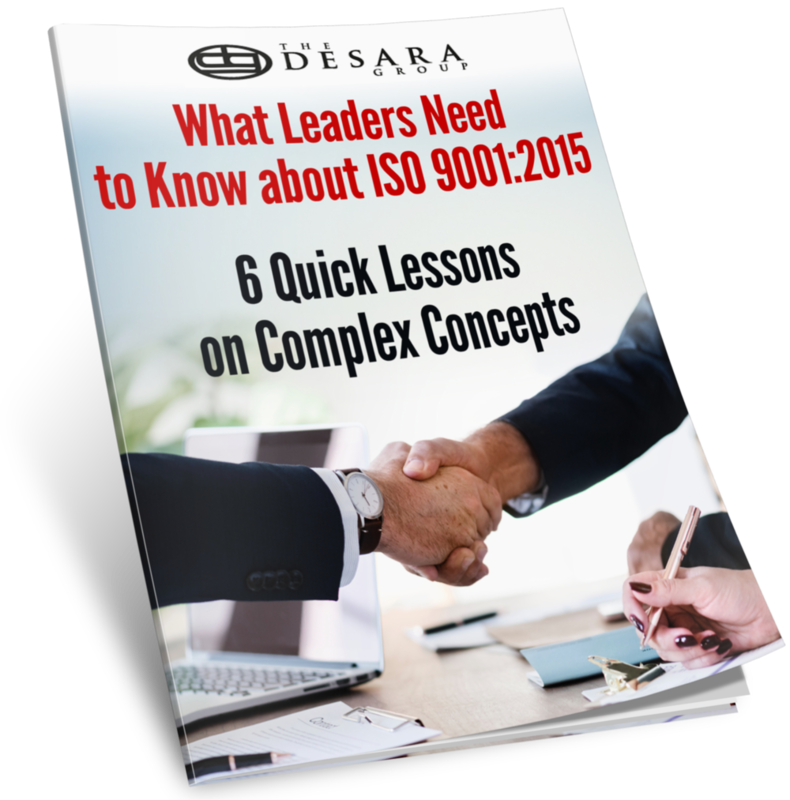 DESARA's team can educate your organization on the changes in ISO 9001:2015 and help you determine your path to compliance as we go through internal audits. You can focus your resources on leading a successful transition while we take care of audits.